The Better Business Bureau, more commonly referred to as the BBB, is just a business directory site that supports reviews. Unfortunately, in many cases, the user submitted feedback that is posted on the Better Business Burea website, BBB.org, might better be called consumer complaints. Rarely do customers go to the BBB to praise a company; most often they visit the BBB to voice grievances. If you find your personal information on BBB.org you’ve likely registered your business to your home address. You can claim and edit your listing on BBB.org by creating an account and claiming your listing but in order to keep your address from appearing on other business aggregator sites, you’ll want to contact your Secretary of State and change the address under which your business is registered. In some cases, a websites Terms of Service spells out ways to get your info off the site. This is sometimes referred to as a TOS removal. You can view The Better Business Bureau’s TOS to see if it will help you get your info off The Better Business Bureau. If you’re trying to get your business off the BBB website it’s not going to be as easy as simply opting out. In General, The Better Business Bureau doesn’t remove business listings. The best way to get negative reviews removed from the BBB is to reach out to the consumer that left the negative feedback and ask them to officially retract their statements. They will need to fax in their original complaint and a request to remove it to your local BBB office. 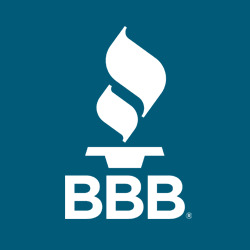 If you’re unsuccessful in removing negative comments from The Better Business Bureau it becoming BBB accredited could help your company’s BBB score.